A total of £1,076,549 was spent by 46 different Trusts across the UK. NHS Trusts have so far spent more than £1 million in preparation for GDPR. A new report from think tank Parliament Street found that a significant amount of money is being spent ensuring NHS Trusts are ready for the new regulation. Overall, £1,076,549 was spent by 46 different Trusts, with staff training the main cost. Luton and Dunstable Hospital Foundation Trust spent most - £111,200, with Lincolnshire Partnership NHS Foundation Trust also a big spender on £106,915. South Central Ambulance Service NHS Trust and St George’s University Hospitals NHS Foundation Trust spent £95,000. The lowest spender was the Royal Derby hospital, spending a total of £500 on GDPR preparations. Goodmayes Hospital spent £500, spending an extra £70 a month on secure email systems, to send patient records. 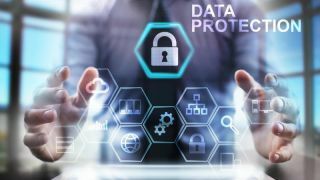 “The incoming GDPR poses significant challenges to health trusts, which are tasked with managing highly confidential patient data and critical medical documents,” commented Nick Felton, SVP, MHR Analytics. GDPR, or General Data Protection Regulation, is the upcoming EU legislation which aims to better regulate how businesses gather, store, secure and share user data.